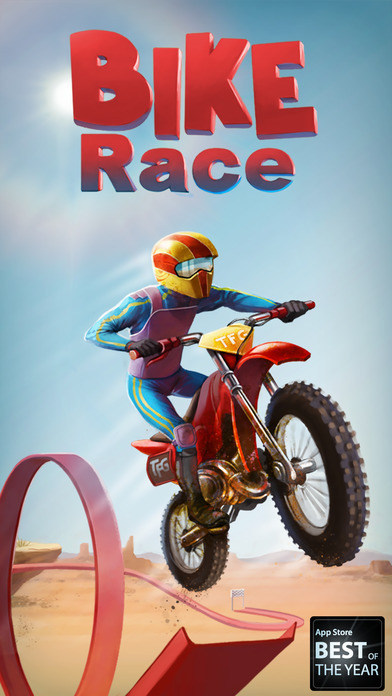 Home #ADDICTIVE Bike Race Free – Ridiculously awesome! 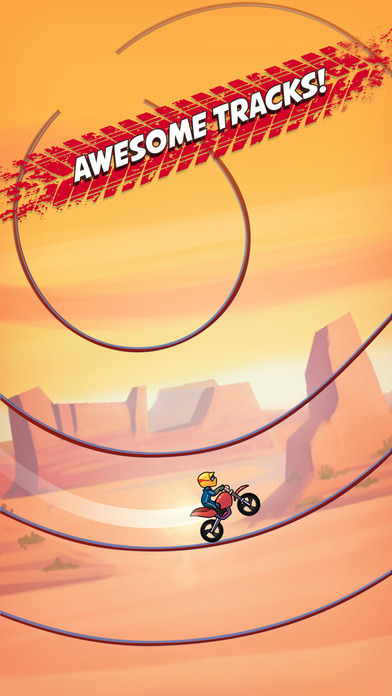 Bike Race Free – Ridiculously awesome! Do games like Hill Climb Racing captivate you in a wonderstruck craze to perform better and better tricks? If so, today we’ve got a game you need to know about…! Bike Race Free is a crazy stunt featuring racing game that makes absolutely no sense in the real world, but is still awesome – so who cares? 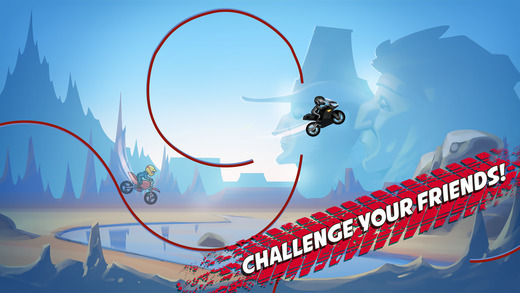 Set on some of the wildest stages we have ever seen in any stunt racer game, your mission in this game is to race on, around, over, and sometimes even under the stage in order to get to the end goal, (i.e. a checkered racing flag). 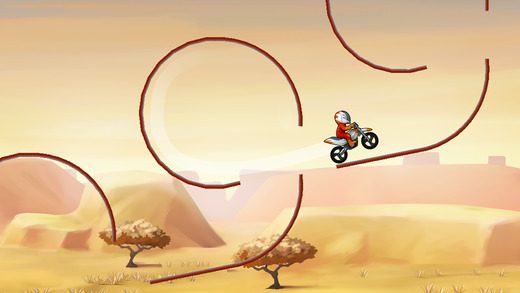 The controls you use to play this game are – rather unsurprisingly – similar to the popular Hill Climb Racing in how you brake/accelerate by tapping on the left or right sides of your screen. What is different however is how you rotate your bake! By tilting your device you can rotate your bike either forward or backward, allowing you to change the rotation of your bike without slowing your acceleration! This small yet important feature allows you to charge through stages full speed without the fear of overbalancing and landing on your head, GAME OVER. 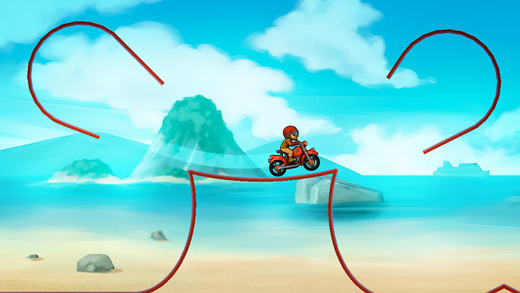 For gamers who enjoy this type of game, what perhaps may be the single most exciting feature of all is how Bike Race Free features individual stages, not just a bunch of neverending stages. If you like performing in-game stunts and think it’s about time you took your racing skills to the next level, this is the game for you!